The option of paying for them through EMIs (via credit card) had been there for long, but suddenly smartphone brands are tying up with the banks and pushing the scheme aggressively. In addition, there are the buy back and cash back offers introduced by Apple and Samsung that provide an instant smartphone upgrade. In April this year, Apple introduced a buyback offer where handing over any old smartphone could fetch a customer a discount of Rs 7,000 on the purchase of the new iPhone 4. While the company has stopped advertising this offer now, stores confirm that it is valid till June 30. For students, Apple has launched another offer where they get a minimum discount, or buyback, of Rs 7,777. This offer is valid till June 9. 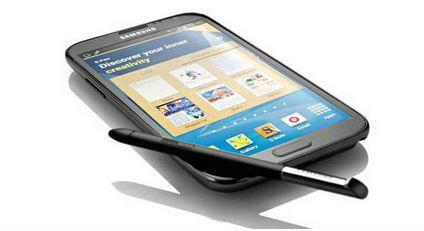 Following Apple, Samsung too on Friday (June 7) announced a smart upgrade offer on the Galaxy Note II. A user can get a discount of Rs 10,000 on purchase of the Note II in exchange for an old smartphone. The offer is valid only on selected smartphones that are in the working condition, though the complete list of which handsets are eligible has not been announced yet. But stores confirmed they are accepting all BlackBerry, HTC, Nokia Lumia and Apple smartphones along with the Canvas series smartphones from Micromax and the Karbonn A10. One has to bring along the smartphone with the charger and fill in a form, submitting it along with a self attested photocopy of a government issued ID proof. Samsung calls it a ‘smart upgrade’ offer. Samsung is also giving a discount of Rs 10,000 off on the purchase of the Galaxy Note II. Thereafter it will be available for Rs 27,500. It can also be bought by paying EMIs of Rs 4,584 for six months. The down payment is zero, without any interest or processing fees either. The offer is valid till June 30 or till stocks last. This could be Samsung’s way of getting rid of its Galaxy Note II inventory as the Galaxy Note III could be in the market soon. Both the phablets, Note II and Note III, were announced during the IFA in Berlin last September. Rumours claim the Note III could be launched in July or August. Thus today, if you have a BlackBerry 8520 in good working condition, it can fetch you a discount of Rs 10,000 on the Samsung Galaxy Note II. This is much higher than the market price of new BlackBerry Curve 8520 and even the resale market value of the BlackBerry 8520. Some retailers revealed that for every Note II sold under this new scheme, Samsung is giving them a margin of Rs 6,500. It is also up to them to evaluate how much they will be able to sell the old smartphone for. The final exchange value is quoted to the customer on the basis of this. Sony isn’t far behind. On purchase of its Xperia Z, Xperia ZL, Xperia ion, Xeria P, Xperia SL and Xperia SP, buyers can avail of a six month EMI offer with zero down payment, and zero interest it they route the payments through Citibank, HDFC bank, ICICI bank and American Express credit cards in selected locations. Late last month, even BlackBerry rolled out EMI schemes for the purchase of BlackBerry Z10 and BlackBerry Curve 9220 with zero down payment, processing fees and interest. Valid on credit cards of Axis Bank, Citibank, HDFC bank, HSBC, ICICI Bank, Kotak, SBI Card and Standard Chartered, the Z10 can be purchased by paying an EMI of Rs 4,799 per month for nine months. The BlackBerry Curve is available on an EMI of Rs 799 for 12 months. Considering the overwhelming response to the EMI schemes launched by its competitors, even HTC is planning to launch one in a month’s time. Share the post "Buying a smartphone has never been easier than it is today"